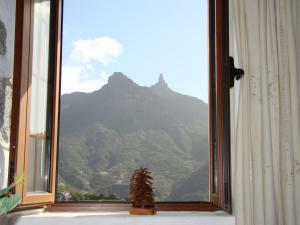 The view in the mountains is great, the place is quiet and a good start for hiking tours. 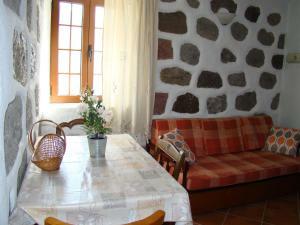 The house was reasonably well equipped and the heating was appreciated in the evenings. Although no oven, the kitchen has 2 radiant rings and a microwave with grill, which we found useful. There is also a Bosch washing machine. Fabulous walking area. The views from the property are breath taking. 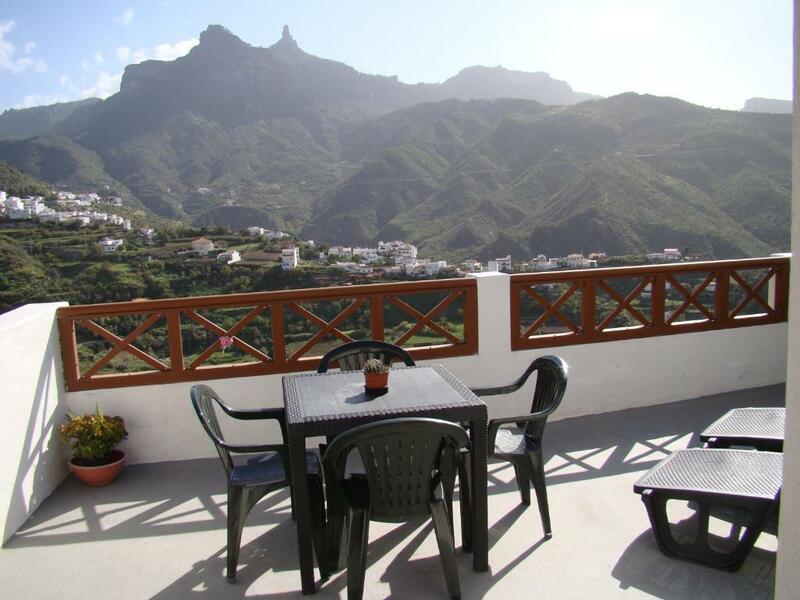 If you book the large apartment 2 as we did, you have private access to the roof terrace. The local town tejeda has a great clean municipal pool overlooking the valley. You can buy blocks of 10 pool admissions for 25 euros and parasol and sunbed hire is also very reasonable. The air con in the property was a welcome surprise. I think it was recently installed, and a godsend when our second week encountered a rare 'calima' east Sahara wind and the temp in the mountains shot up about 10 degrees above the usual during the day and night. We hope to come back again in future. Very beautiful place, excellent location for hiking! Wunderbare Dachterrasse mit super Blick. Sehr ruhig gelegen umgeben von Natur. Unterhalb von Tejeda abseits des Rummels. Super Ausgangspunkt für viele Wanderungen. Sehr schöne landestypische Wohnung mit besonderer Lage, ruhig und phantastische Aussicht. 2 Etagen mit 2 Schlafzimmern und toller Terasse. In 10 Minuten zu Fuß in Tejeda. Ideal als Basis für Wanderungen. Situation exceptionnelle avec vue sur le Roque Nublo et le Roque Bentayga depuis la terrasse dans un petit hameau au calme en retrait du joli village de Tejeda. Nombreux restaurants, supermarché, boulangerie, pharmacie et pâtisserie réputée etc. Appartement confortable et propre avec des chambres spacieuses. Situation idéale pour faire de nombreuses randonnées dans des paysages magnifiques. Boulanger passe le matin en voiture devant l'appartement. Situation centrale pour se rendre à différents lieux de l'île mais beaucoup de routes de montagne. 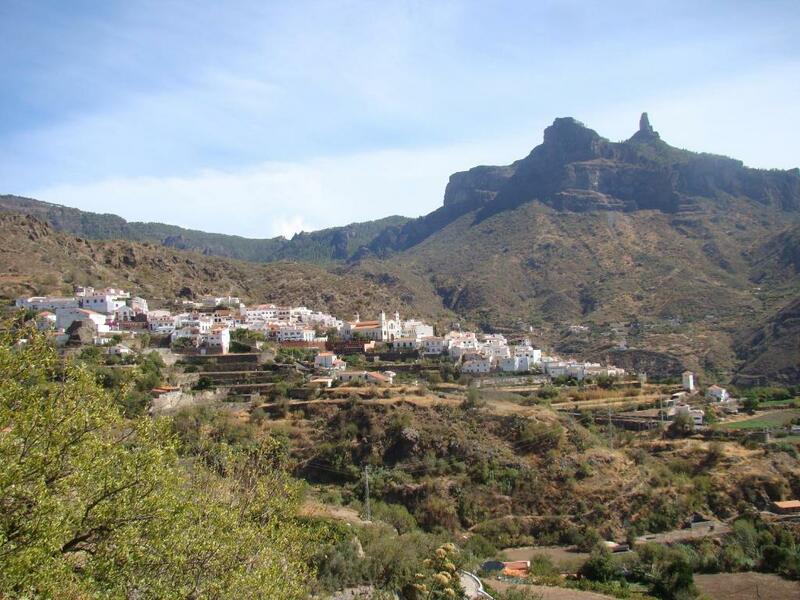 Super Lage mit traumhaftem Blick auf Tejeda und den Roque Nublo. Auf der großen Dachterasse haben wir diese Aussicht sehr genossen. Der Bäcker hält mit seinem mobilem Lieferservice täglich gegen 8.30 Uhr in der Nähe des Hauses. In der Unterkunft liegen vielfältige Prospekte für Unternehmungen auf der Insel aus. Durch das WLAN war das Planen von Aktivitäten leicht. Casa Rural Paisajes de Tejeda is located in La Degollada, 2,650 feet from Tejeda. This accommodations offers an apartment with mountain views, as well as a 2-bedroom house. The house has 1 double bedroom and 1 triple bedroom with 3 single beds. The private bathroom includes a shower and hairdryer. Bed linen and towels are provided and there is a washing machine available. The living space will provide you with a TV, DVD player, sofa and dining table. There is a kitchenette equipped with a microwave, coffee machine, and fridge. Internet access via WiFi key is available for an extra charge. 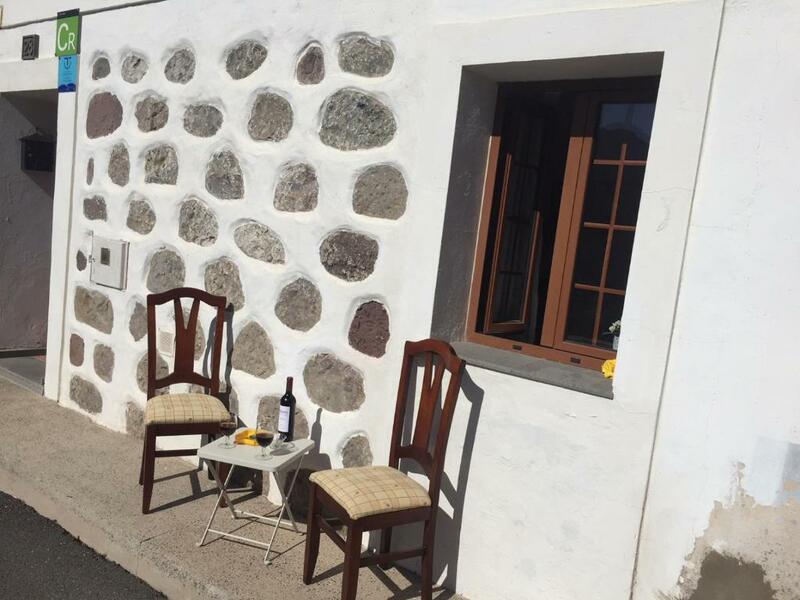 Set in the mountains of Gran Canaria Island, Casa Rural paisajes de Tejeda is 20 mi from Las Palmas and a 1-hour drive the Gran Canaria Airport. Las Palmas Port, with ferry services to Lanzarote, Fuerteventura and Cadiz, is 24 mi away. When would you like to stay at Casa Rural Paisajes de Tejeda? 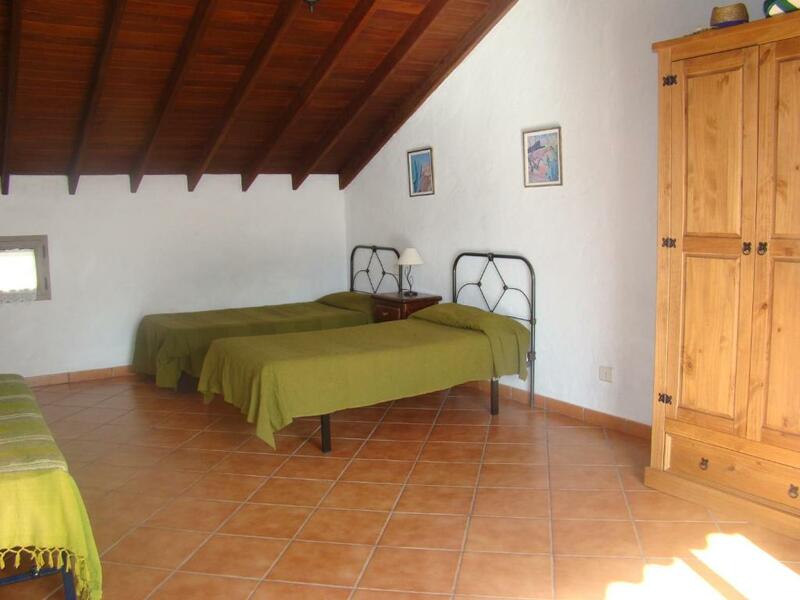 Featuring a furnished terrace and views of the mountains, the house has 1 double bedroom and 1 triple bedroom with 3 single beds. The private bathroom includes a shower and hairdryer. 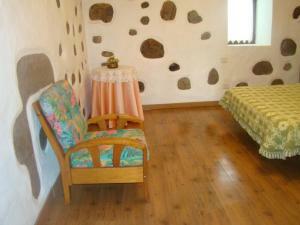 Bed linen and towels are provided and there is a washing machine available. The living space will provide you with a TV, DVD player, sofa and dining table. There is a kitchenette equipped with a microwave, coffee machine, and fridge. This apartment has a stovetop, kitchenware and sofa. Please note this apartment does not have a terrace. 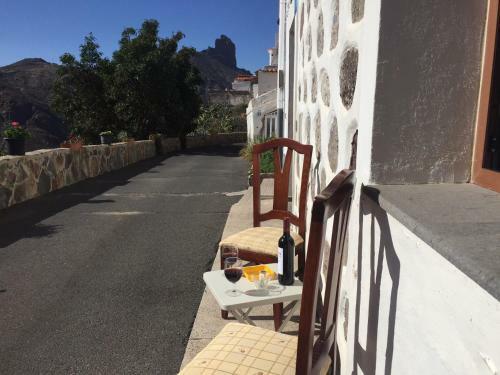 House Rules Casa Rural Paisajes de Tejeda takes special requests – add in the next step! Casa Rural Paisajes de Tejeda accepts these cards and reserves the right to temporarily hold an amount prior to arrival. Please note that internet is available via a USB key. Please note that check-in between 22:00 and 00:00 carries a EUR 20 surcharge. 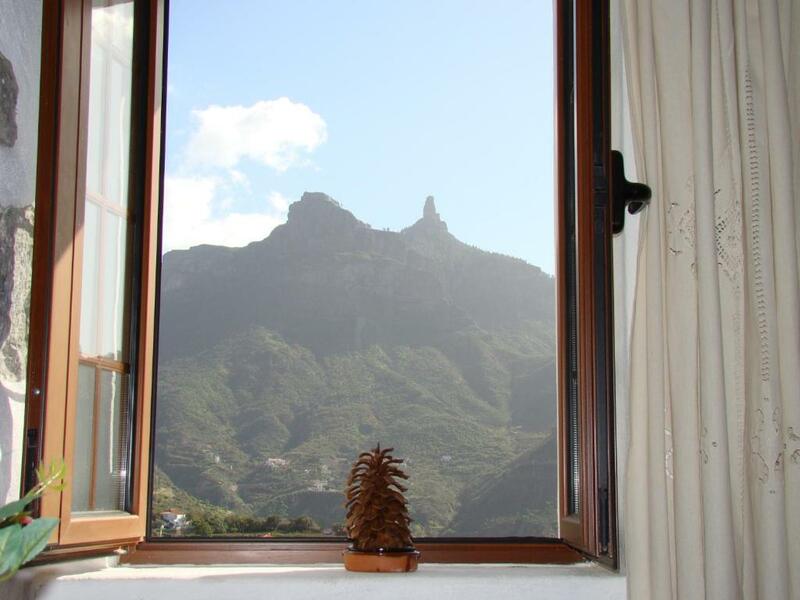 Please inform Casa Rural Paisajes de Tejeda of your expected arrival time in advance. You can use the Special Requests box when booking, or contact the property directly using the contact details in your confirmation. We missed a sharp knife to cut the bread and sausage. A couple of cups in the same style would have been nice.